The Mower Edge: This is the original style invented in Australia in the 1970's and is less popular today given modern options. Its beveled appearance and "mower feature" provide a simple, classic look. Due to low demand and the superiority of the angle mold we no longer install this profile. 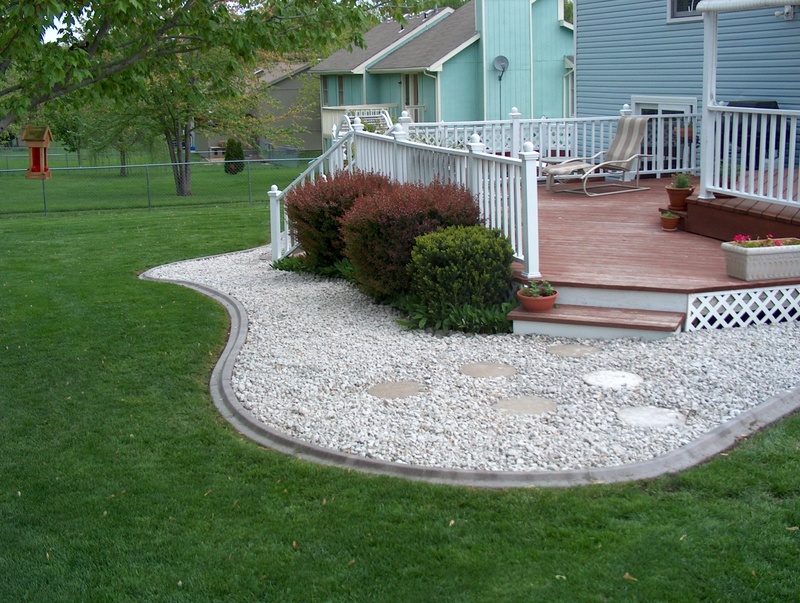 The Angle Mold: The angle style curb creates an elegant look in the landscape. This style can be colored, textured and stamped to create a number of custom looks unique to your surroundings and taste. 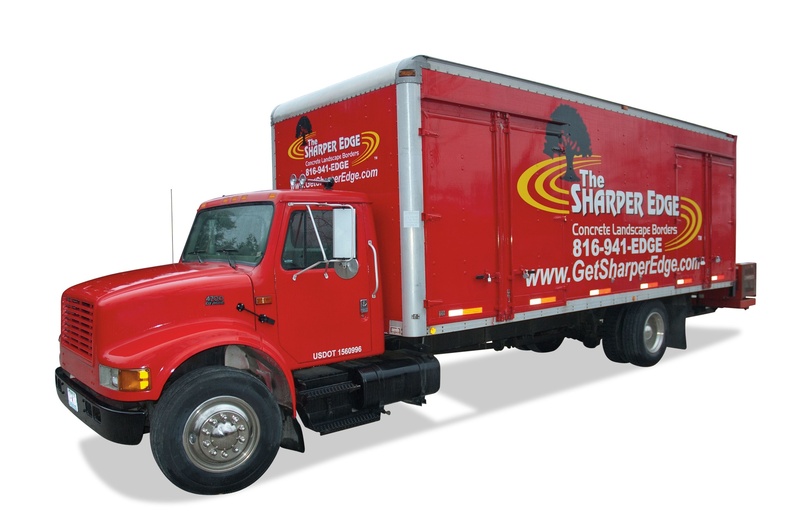 This shape is more durable than the mowers edge and because it is equally mower friendly and offers many more options, it is the primary shape used in residential and commercial edging. The Square Curb: The square curb, although less common in residential installations, offers extreme durability and traditional lines. In the right application this style can be the perfect addition to your project. 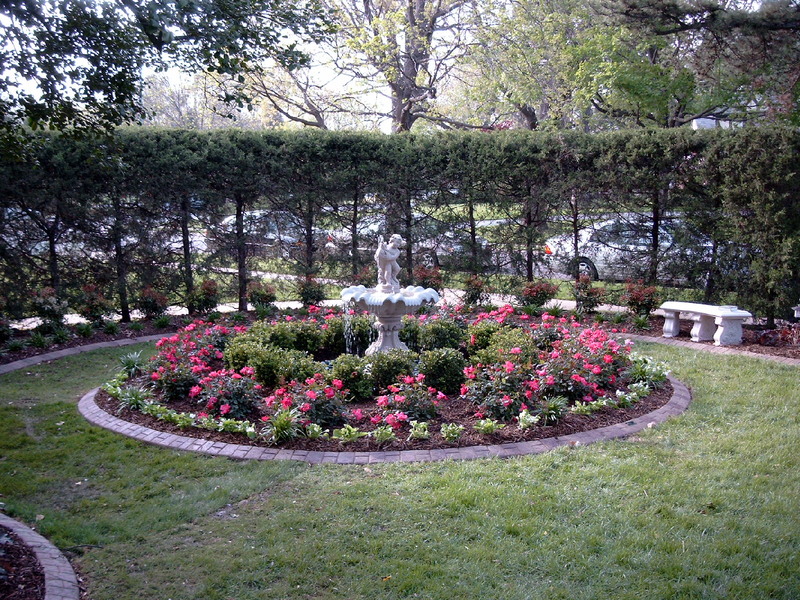 Common applications include garden paths, containment of gravel along driveways, or areas where a heavier look is desired. This style can also be stamped and integrally colored. It is the least mower friendly of the profiles and is not recommended in applications requiring mowing. All of our different styles are available in 48 different colors-most at no additonal cost. 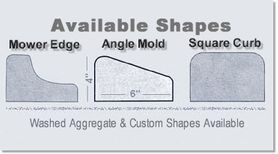 Except for the Mowers Edge, all styles are produced using the Angle Mold. This our flagship product, a simple, elegant textured paver which easily adapts to any style of home or landscape. It's natural look easily blends into all environments. 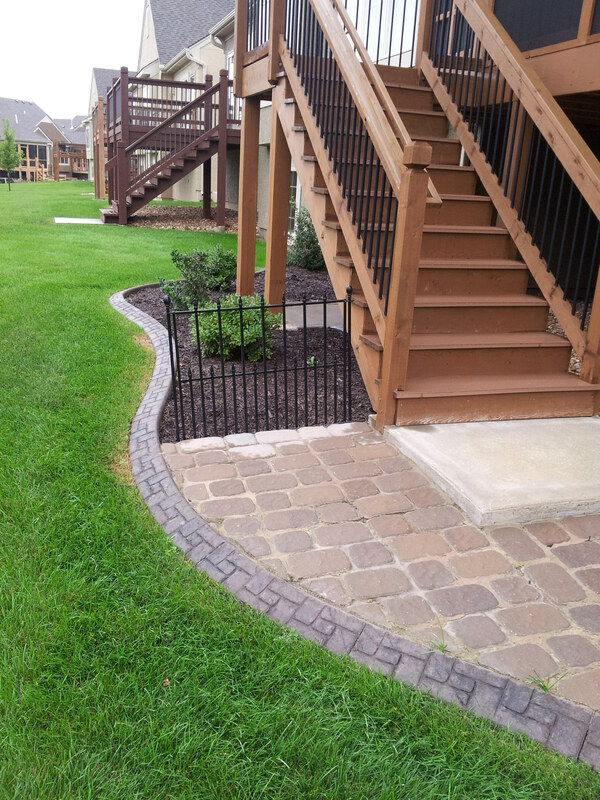 The Sandtone Paver© is the least expensive and most popular of our stamped edging options. This is our rustic brick paver. With it's classic "V" joint, it is designed to emulate the look of natural pavers. Wth it's basket weave pattern, the Antiuqe Paver Brick© is the perfect compliment to a home that is lacking a stone or brick component in it's construction. This is a formal look and our most realistic brick product. Each Joint is hand tooled and grouted with a propietary grout product. Although the Colonial Brick© is a labor of love, it is difficult to differentiate from real brick when it is installed. This is a rustic brick paver with a classic running bond joint. It is designed to emulate the look of natural pavers. Like it's cousin, the Antique Paver Brck©, the running bond is also the perfect complement to a home that is lacking a brick or stone component in it's construction. The mowers edge, invented in Australia in the early 1970's, is the predecessor to all of our modern concrete edging products. Although other shapes are equally mower friendly, people who had this style in decades past are still fans. 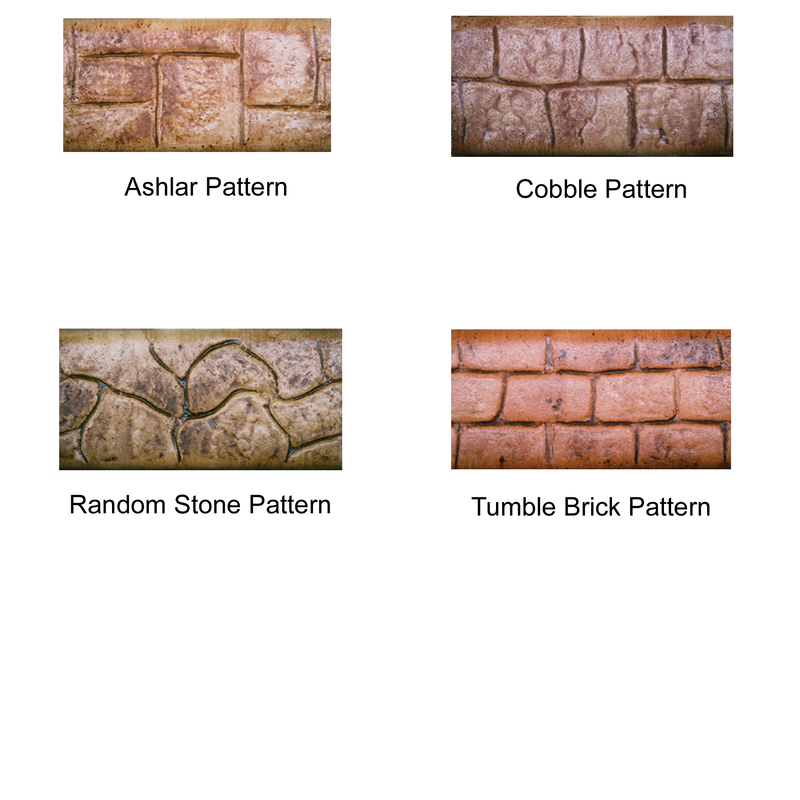 The cost of this style is roughly equal to our Sandstone Paver© . Our impression series offers a wide range of patterned stamping options. 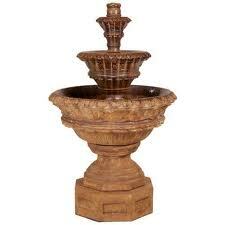 It is an inexpensive upcharge to add a specifically desired look to coordinate with your taste or environment. Color chart should be used as a guide only. Variables in the natural materials used to make concrete can impact final color. Note that color matches are nearly impossible and the final color on your project will likely vary from color charts and samples. No guarantees to the contrary will be made or implied by The Sharper Edge.